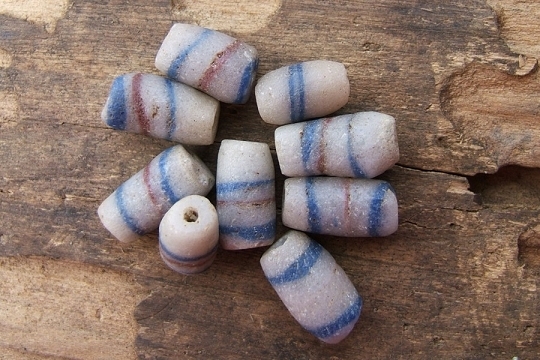 These true African trade beads are made of artfully fashioned crude powder glass. These were purchased over 15 years ago and were old at the time that we purchased them, but we're not comfortable calling them vintage. 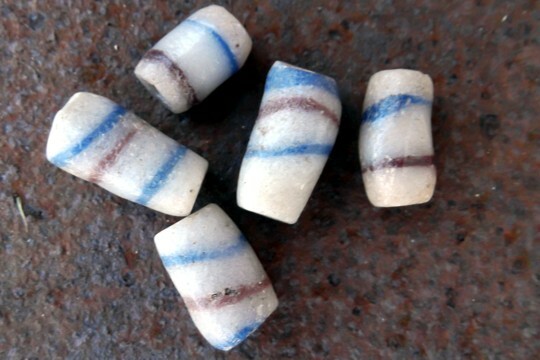 Each bead features a stringing hole that travels through the bead as a barrel and the bead is striped in blue and red on a greyish white background. 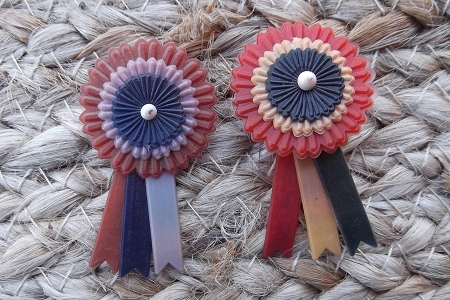 The beads range in size from 3/8 inch to 5/8 inch in length and from 3/16 to 5/16 in diameter. 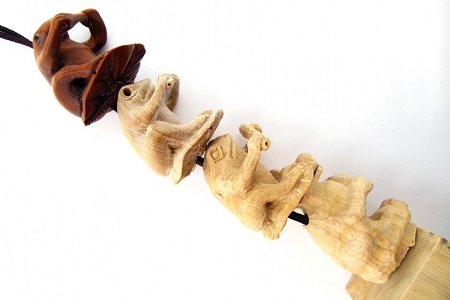 They are wonderful to add to treasure necklaces or bracelets. We also like to use just one with a leather cord to make a bracelet. We're showing several beads for illustration of the variance.